Hello and HAPPY Sunday! I hope you all felt the love this weekend! We had a Valentine’s party at school on Friday which totally zapped me – imagine 22 sugar overloaded 6 year olds and a room full of arts and crafts! 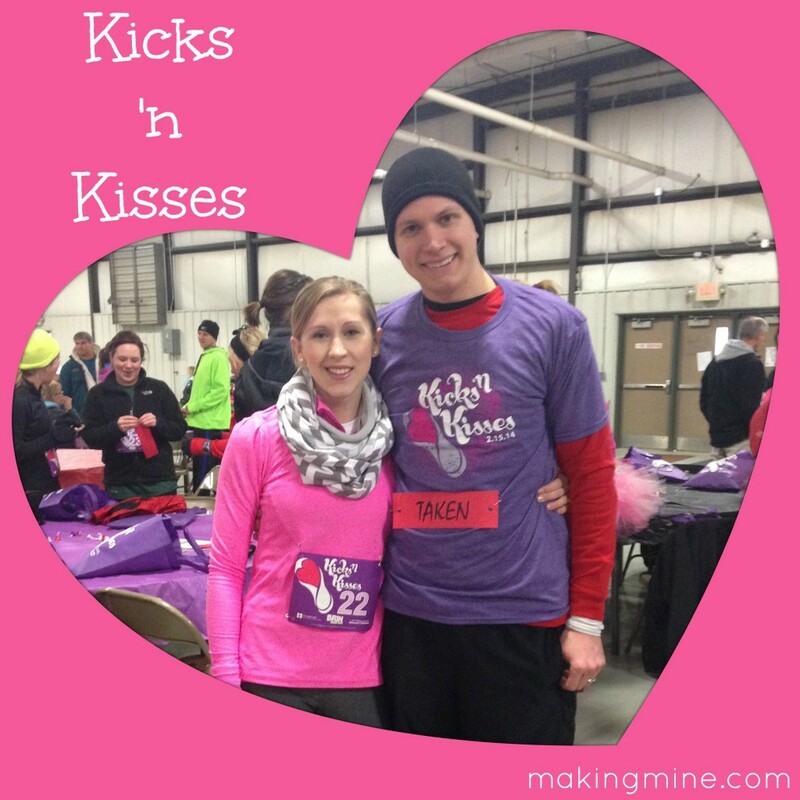 Jeff and I spent Friday night in and celebrated Valentine’s Day on Saturday with the Kicks ‘n Kisses 5k in Lincoln. 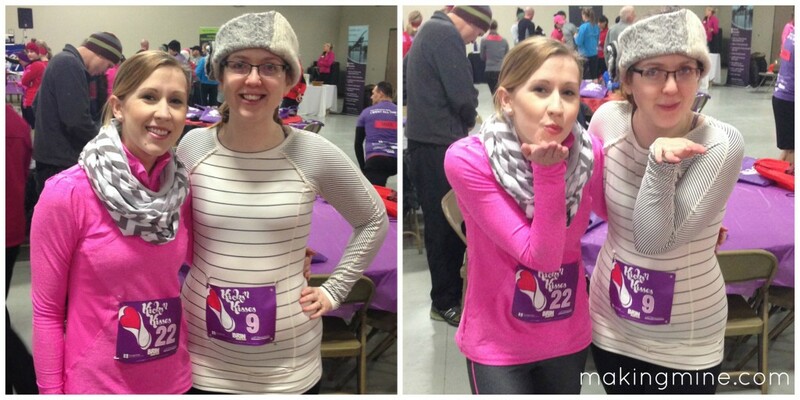 We participated in the Duo Dash which meant we were tethered together for the race. It was a TON of fun and a great way to spend some quality couple’s time! 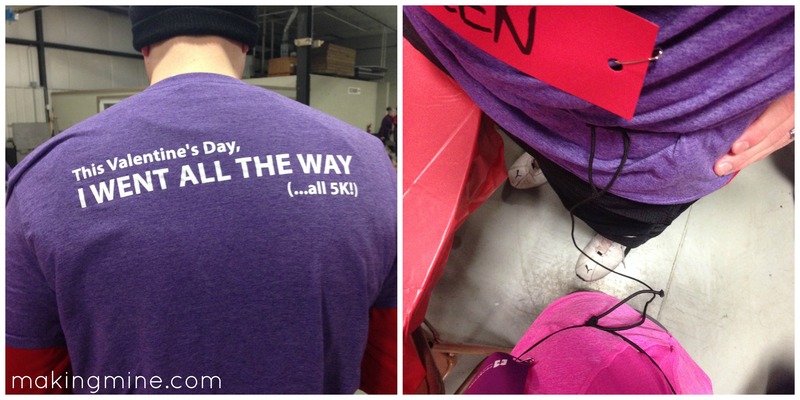 The shirts were too funny – “This Valentine’s Day, I WENT ALL THE WAY (…all 5k! )” They even had cute “single” and “taken” bibs to wear depending on your status, haha! We were wondering/worried how the tether would work. It ended up being really easy. It was an elastic cord that was long enough for us both to tie around our waists leaving enough slack that we wouldn’t trip each other up! 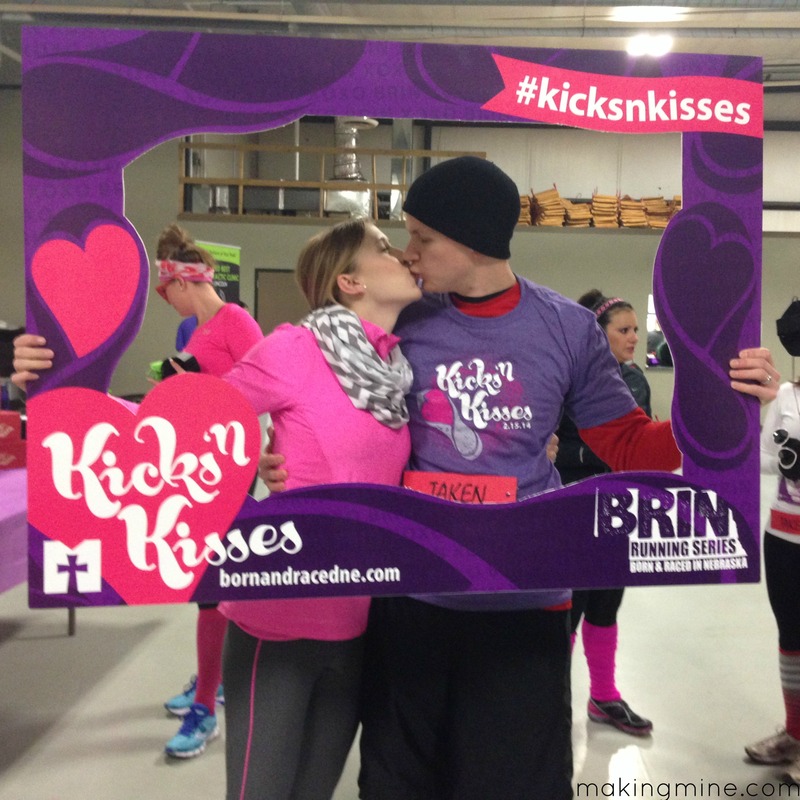 How did you spend your Valentine’s weekend?